The following link will provide Syarif Hidayatullah State Islamic University (UIN) Jakarta’s profile. The following link will display Syarif Hidayatullah State Islamic University (UIN) Jakarta’s contact information. The following link will display a collection of Syarif Hidayatullah State Islamic University (UIN) Jakarta’s online news. The following link will display complete directory of Syarif Hidayatullah State Islamic University Jakarta. 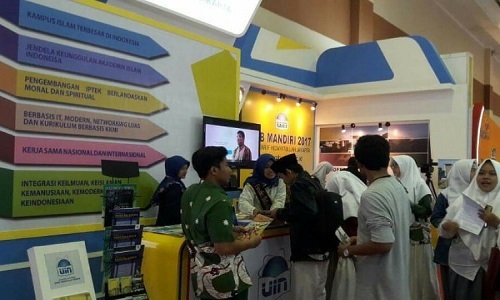 The following link will display various student enrollment types endorsed at Syarif Hidayatullah State Islamic University (UIN) Jakarta. The following link will display enrollment types for Master’s (S2) and Doctoral (S3) degree at Syarif Hidayatullah State Islamic University (UIN) Jakarta. The following link will display various scholarship/financial aid available at Syarif Hidayatullah State Islamic University (UIN) Jakarta. The following link will display enrollment types for Professional Program at Syarif Hidayatullah State Islamic University (UIN) Jakarta. The following link will display enrollment types for International Program at Syarif Hidayatullah State Islamic University (UIN) Jakarta. The following link will display campus and student life at Syarif Hidayatullah State Islamic University (UIN) Jakarta. 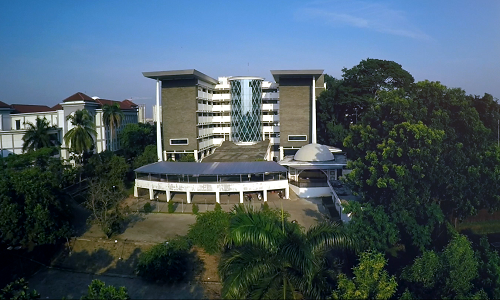 The following link will display complete information about available facilities owned by Syarif Hidayatullah State Islamic University (UIN) Jakarta. The following link will display complete information about student organizations at Syarif Hidayatullah State Islamic University (UIN) Jakarta. The following link will display complete information about various Information&Technology (IT) services at Syarif Hidayatullah State Islamic University (UIN) Jakarta.